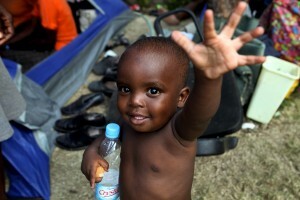 Help us build 9 new Water Treatment Plants and provide clean water in Haiti! 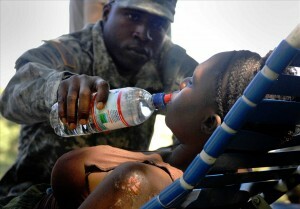 The water crisis in Haiti is well-documented. While the attention of the world helps, it’s the actual giving that saves lives. Haiti’s lack of clean, potable water is nothing new; before the deadly earthquake of 2010 more than a third of the people didn’t have access to safe drinking water. Since the earthquake and the succession of natural disasters in that fateful year of 2010, the water situation in Haiti has become dire. Infectious diarrhea caused by unsafe drinking water and poor sanitation is the second leading cause of death in Haiti and the number one cause of death for children under five years old, according to the World Health Organization (WHO). Sadly, the death toll is expected to continue to rise. Of the 42,000 Haitian deaths that occur each week, 90% of them are related to unhygienic living conditions and the absence of safe drinking water. Preventable diseases kill more people every year than all the forms of violence put together, including war. These facts are not easy to face, but they are a reality. Children are especially vulnerable because their bodies are not strong enough to fight diarrhea, dysentery and other fatal illnesses that commonly befall Haitians. The United Nations and the WHO maintain that one tenth of all global diseases can be prevented simply by improving water supply and sanitation. HATT Foundation is building 9 water treatment centers throughout Haiti’s countryside and distribute clean, potable drinking water to 9,800,000 of Haiti's citizens (93% of the people in Haiti). Please make your donations today and cut waterborne diseases! …but with your help, we can make this dream a reality!